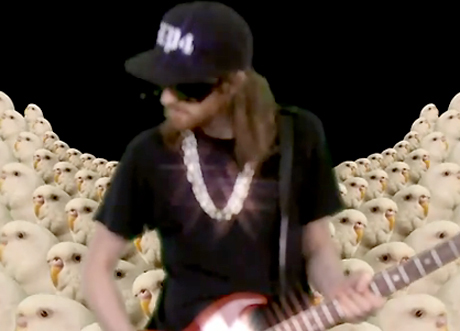 If you've been itching for some more visuals to along with Ratatat's LP4, it's your lucky day. The guitar-loving dance floor fillers have released a new vid for the track "Neckbrace." For a full-on dose of goldie-lookin' chains, Terminator X shades and more than a few parrots, check it out below. LP4 is out now on XL Recordings.